Have you been experiencing a discomforting pain around your lower back? If yes, then the knowledge contained in this article is just what you need. Numerous studies have pointed at the pain in the low back as one of the major reasons why people become less active and agile while still in their middle years. You would agree with us that pain, especially the one around the lower back, is one thing that can hinder individuals from giving themselves over to physical activities - which is crucial to maintaining their strength, stamina, and balance as they grow older. Pain in the lower back is usually caused by injuries to the ligament, spinal muscles, and a herniated disk and in rare cases a degenerative spinal disease. About 80% of adults experience pain in the lower back at some point in their lives, so if you are one of such individuals, know you are not alone. The right thing to do in such a situation would be to get medical treatment and to adopt several proven methods for managing the ailment. If most of us spend a lot of our lives lying in bed, then it is imperative that we go for only the best mattress available on the market, not just for the comfort it promises to bring, but most importantly for the sake of our health. In fact, studies have shown that one of the proven methods for managing low back pain is sleeping on the right mattress. Not sure how to separate the wheat from the chaff when choosing the right mattress for your lower back pain, here are two things you should always look out for before a purchasing a mattress. For a long time, we were made to believe that firm mattresses were just perfect for individuals experiencing pain in their lower back. Until the year 2003 when this theory was debunked and proven wrong. In fact, it was discovered that laying on firm mattresses by people with lower back pain might even make the problem worse. Spanish researchers tasked themselves with discovering what type of mattress was healthy for people suffering from lower back pain. They ran some tests on a number of patients and then found out that lying in a medium-firm mattress was more comforting and the healthy way to go for people with the ailment. Another study carried out by professionals showed that medium-firm mattresses reduce lower back pain by 57.2%, shoulder pain by 60.8%, and back stiffness by 59.1%. Putting all these together, the sleep quality of patients is increased by 60.7%. Experts have thus advised people struggling with lower back pain only to choose a medium-firm mattress, as it is known to adapt to the curvature shape of the spine far better than a firm mattress, and also allows the body lay in a position that helps reduce pressure around the joints and other areas of the body. Apart from the firmness of the mattress, another important thing to take note of when purchasing the right mattress for your lower back pain is the materials from which the mattress is made from. Take, for example, Traditional Innerspring mattresses. This type of mattress has each of its springs working in isolation and comes with hard metal coils that push up on you when you lay on them, which isn't a good thing for your back as it causes pressure points and weight doesn't get to be evenly distributed. Several studies have gone on to generally show foam mattresses are better at offering uninterrupted sleep than traditional spring mattresses. For those suffering from lower back pain, getting a mattress made out of foam should go a long way in bringing the needed comfort during sleep and relief from the excruciating pain stemming from their lower backs. Most people understand that foams are better than traditional spring mattresses, but they get scared of purchasing memory foams, and for good reasons. A good number of memory foams are made out of materials that contain very toxic chemicals. But that doesn't mean there aren't good memory foams on the market made purely from natural plant-based materials. So if you decide to go with the recommendations of health experts to get yourself a foam mattress for the pain in your lower back, try reading a few reviews to know what materials the memory foam is made from before making the purchase. To help you make the choice for which mattress on the market is good for you, we have here a list of best mattresses for lower back pain. How Can Back Pain Affect Your Body? Made out of memory foam and gel, this amazing mattress gets you feeling so good while laying on it. 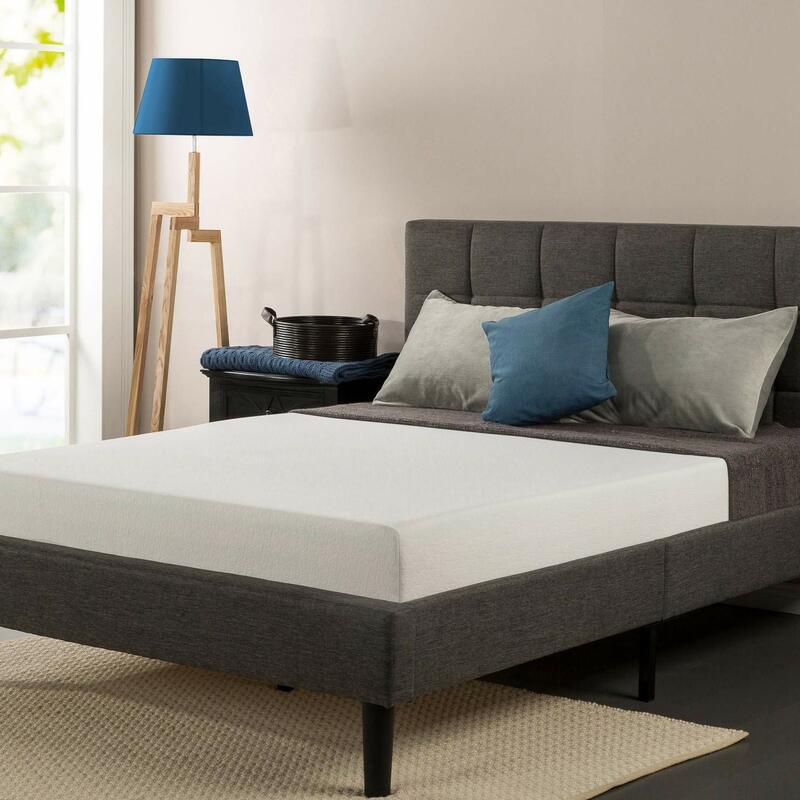 Well crafted and designed, the Classic Brands Cool Gel Ultimate Gel Memory Foam offers those who sleep on it a plusher and very comforting sleeping surface. This is one mattress you don't want to miss out on. 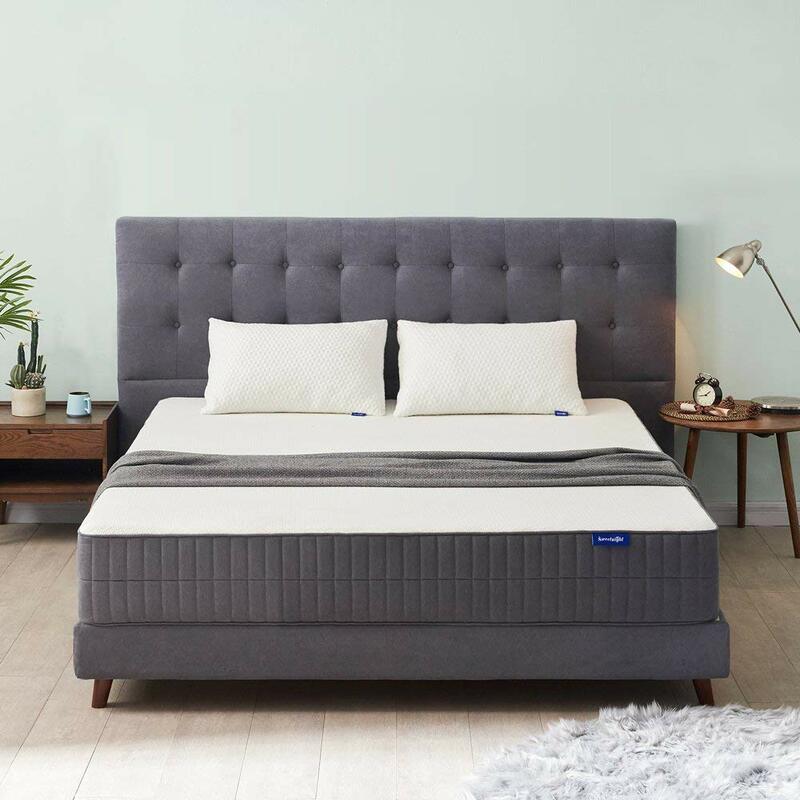 Don't deny yourself a good night sleep by refusing to purchase this incredible mattress as it is one of those products on the market that's sure to get you experiencing a restful night sleep. The mattress comes with a bonus shredded memory foam lush pillow. In some cases, it comes with a King and Queen sized bonus pillows. The 14-inch memory foam mattress is designed to provide the highest amount of comfort and support to sleepers. 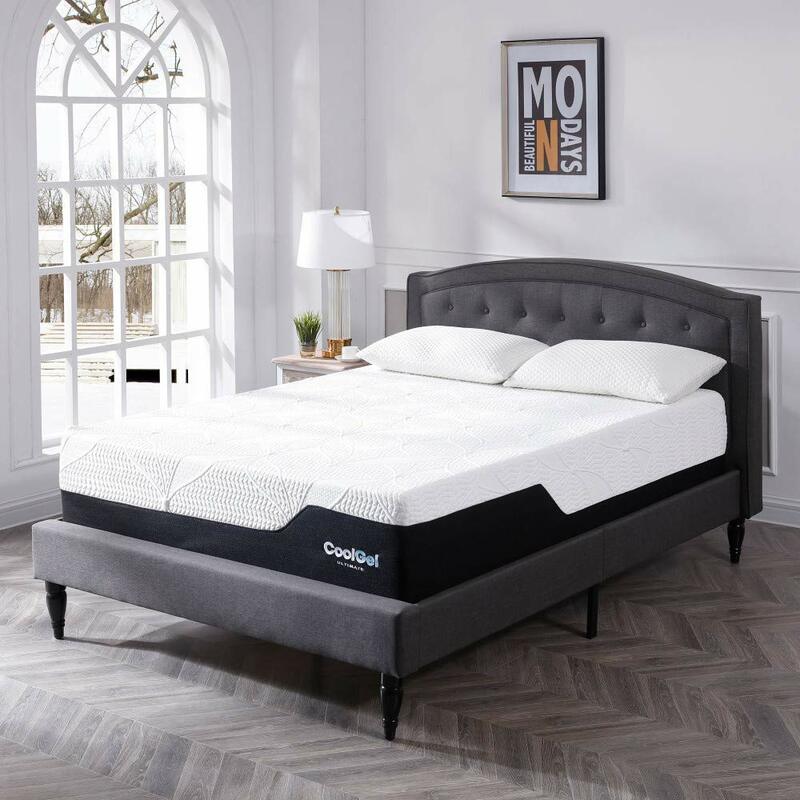 It has its top layer of about 3.5-inches composed mainly of Cool Gel memory foam which keeps you feeling cool and super relaxed all through your sleeping hours. Its second layer consists of 2-inches of gel memory foam which works with the top layer and gives the mattress its extra comforting feel. Still not sure why you should get a gel memory foam, the following benefits should help convince you. A gel memory foam provides each part of your body with enough support. Sleeping on a mattress that isn't able to provide support for every part of your body will only worsen the pain in your lower back, so avoid making that mistake; Its ability to automatically conform to your body weight and temperature; And when you move about in bed, the gel memory foam quickly fills in the gap and reshapes itself to fit your new sleeping position. Gel memory foams are a new invention. Gel particles are being infused into a visco-elastic memory foam mattress to create a more luxurious looking and cooler mattress. Gel memory foams come with an open-celled physical structure, unlike other conventional foams. This feature gives the gel memory foam a better airflow and makes it more comfortable. Air easily travels through the mattress and get you sleeping deeply without any such disturbance as heat. The gel memory foam is also resistant to bacteria, mold, dust mites and allergens. There's no point being unsure whether a cool gel memory foam mattress is right for you or not. Take it from us, a cool gel memory mattress is good for you and everyone. And here's why. A cool gel memory mattress will get you feeling cool in bed like no other mattress can. And this is because it contains properties that help disperse body heat and creates a sleeping surface void of even the slightest heat even during the hottest nights. Sleeping on a cool gel memory mattress means you would have a more restful sleep, as the tendency to toss and turn out of discomfort is diminished. The Classic Brands 14-Inch Cool Gel Memory Foam Mattress comes with an adjustable base friendly feature. What this means is, the highly flexible mattress merges perfectly well with an adjustable base rather than the usual bedframe. 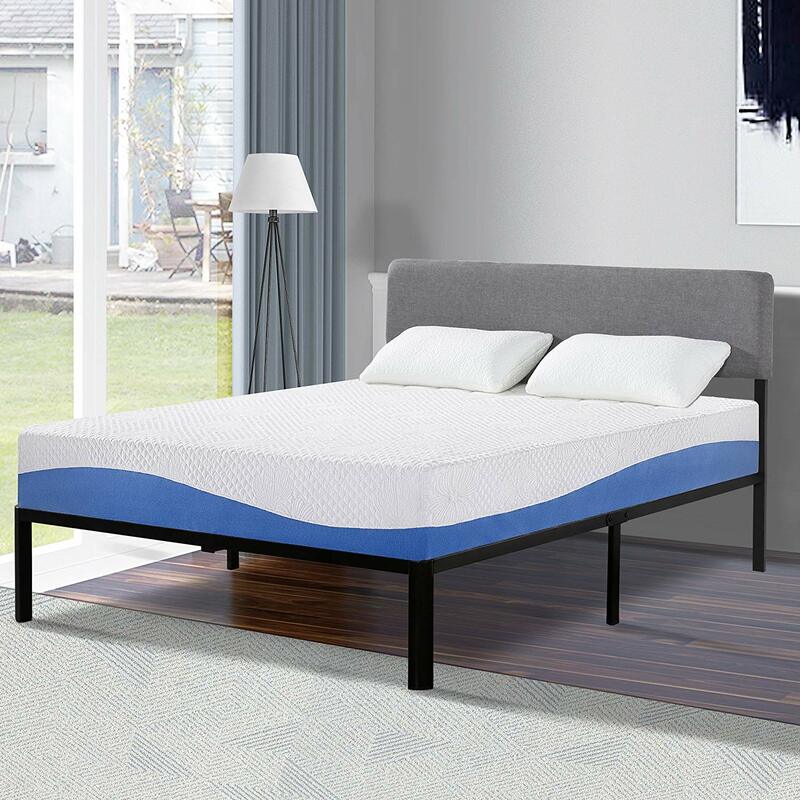 This feature positions the Classic Brands 14-Inch Cool Gel Memory Foam as a healthier and fantastic mattress everyone should go for most especially those suffering from lower back pains. All premium gel memory foam mattresses are CertiPUR-US Certified. What this implies is they have been laboratory tested to contain flexible polyurethane foam- a cushioning material used for such home products as a crib and adult mattresses, upholstered furniture and other accessory comfort product. 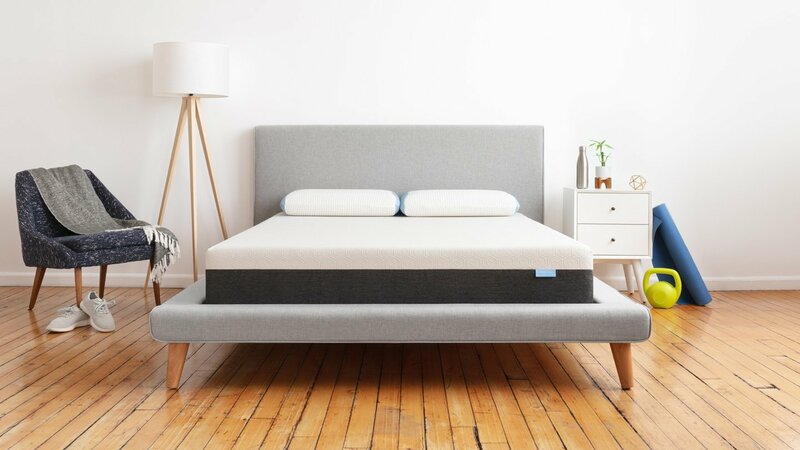 Here's another incredible mattress for managing lower back pain. Dubbed the Sleep Master, the Zinus Ultima Comfort Memory Foam 10 Inch Mattress provides you such great comfort as every top-notch memory foam mattress should. This durable mattress offers every part of your body great support and comes with a memory foam layer that perfectly molds itself to the shape of your body. It is important to note that the cover of this mattress shouldn’t be removed for any reason at all, as doing so would jeopardize the entire system and ruin the mattress. 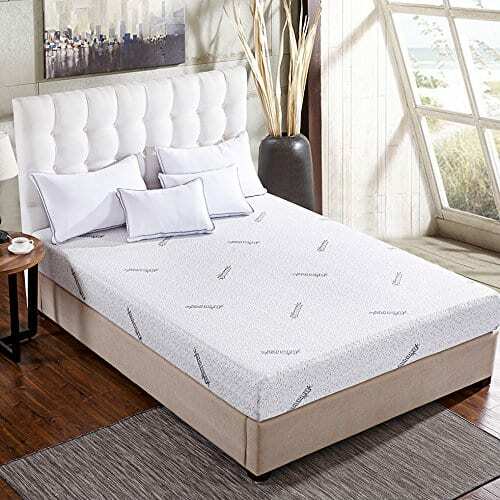 This memory foam mattress is supportive, well designed and comfortable which makes a good night of sleep possible and also does well to improve your emotional and mental well being. The memory foam mattress is made up of gel materials that are highly breathable and help you sleep in good temperature. It also comes with pressure relief materials that do well to adapt to the body shape of the one laying on it. 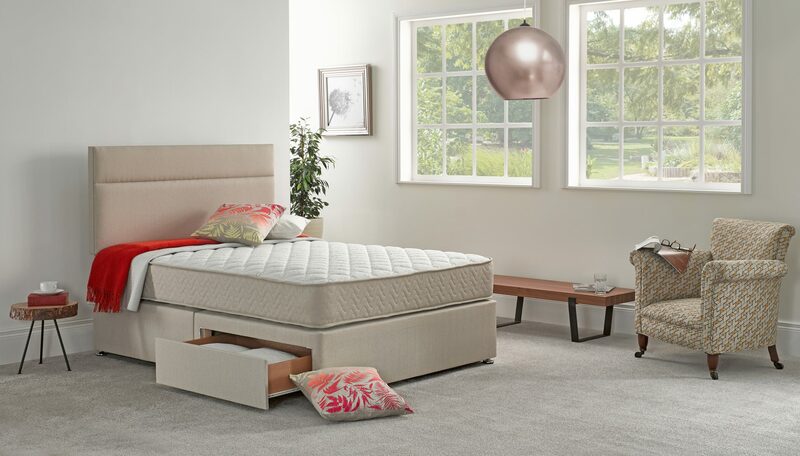 Unlike ordinary memory foams, this first class mattress is designed with great durability and provides equal support to every part of your body. Those struggling with lower back pains should consider purchasing this product as it promises to offer a more satisfying sleep experience. It comes as a quality medium-firm mattress and is able to offer the highest level of comfort for all sleeping postures. Its 1-inch I Gel layer is efficient at dispersing temperature accumulation and maintaining a constant mattress temperature. The Modway Caroline Memory Foam mattress is a three-layered cooling memory mattress that helps you enjoy a good night rest. The topmost layer of the Caroline mattress comes with an open cell layer that helps keep air flowing smoothly. Its second layer is gel-infused which makes the mattress super cool and perfect for sleeping. This is one responsive mattress known to disperse body heat efficiently and relieve pressure points. It is also able to conform to body weight and position of the sleeper. In addition to these amazing features, the Caroline is able to reduce bounce between two sleepers. 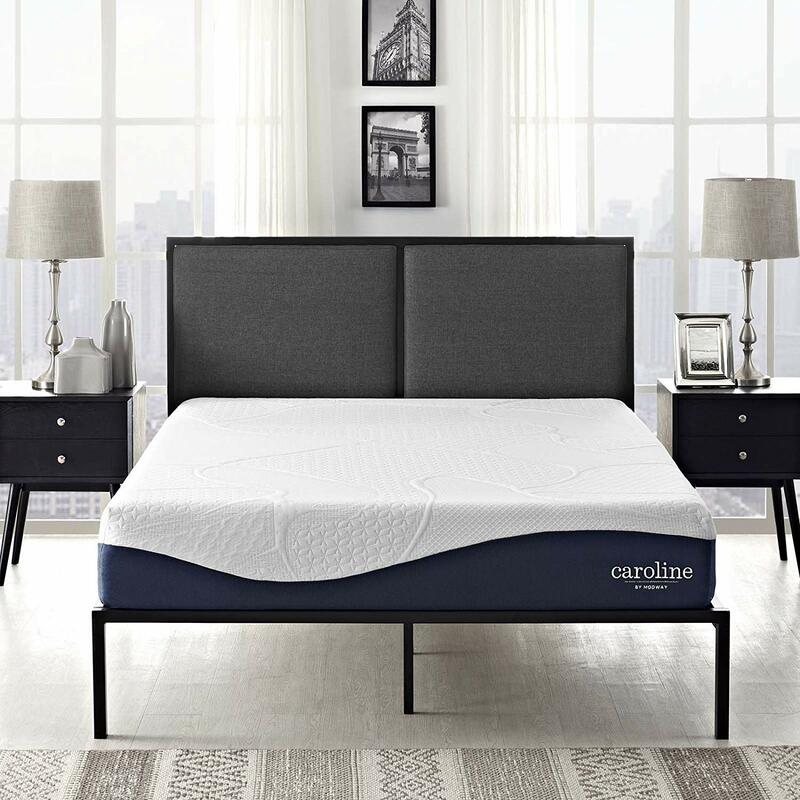 Caroline is an accredited mattress by the CertiPUR-US so you can be confident when purchasing this memory foam that what you're getting is nothing but the best. This memory foam mattress can be easily transported as it is vacuum packed and can be rolled perfectly to fit into a portable box. On getting the mattress out of the portable box, it takes between 2 to 4 hours for the mattress to straighten out slightly, and a full day for it to reach its full length. The Sweetnight as most memory foam mattresses comes with three layers. It also comes with a zoned gel memory foam for the sake of keeping the surface of mattress cool at all times. The Sweetnight 10 inch gel memory foam is appropriate for sufferers of lower back pain as it helps keep the body properly aligned during sleep. The Sweetnight 10 Inch Gel Mattress is a CertiPUR-US Certified foam and is free from all forms of hazardous chemicals as formaldehyde, mercury, and other heavy metals. For easy transport, the Queen foam can be compressed and placed in a box. The mattress is made to fit all frames as hospital beds, flat platform or adjustable bed, box springs, slatted base, floor, etc. The Queen foam comes with a 10-years warranty. It's been recorded that 96% of customers who purchased the mattress kept it and referred to others. What the latter implies is, the product is good enough for the purchase. This is a copper-infused memory foam mattress. It comes with two firmness levels in one mattress meaning you can now have more than one option to find all the comfort you need on a mattress. The Layla Sleep Memory also comes with a ThermoGel infused cover that responds to body temperature and helps you experience a cooler night sleep; it also offers you incredible shifting support and is excellent for sleeping in any position. This fascinating memory foam mattress offers all the comfort to be found in a first-class memory foam mattress. It provides the body with balanced support, and efficiently reduces body pressure. Just a short while after laying on it, the memory foam mattress forms a balanced and personalized form around your body. This mattress is suitable for just about anyone as it provides excellent support for all sleep positions. Its top layer is so well ventilated that air is able to pass beneath your body freely. This awesome feature keeps you feeling cool all night long. Outer cover: The Poly-Jacquard fabric with bamboo fiber this mattress comes with, ensures you feel really cool and comfortable all through the night. The manufactures of this mattress chose to use the Bamboo fiber for the cover of the mattress owing to its amazing capability for humidity control, odor neutralization, thermo preservation, and health keeping. 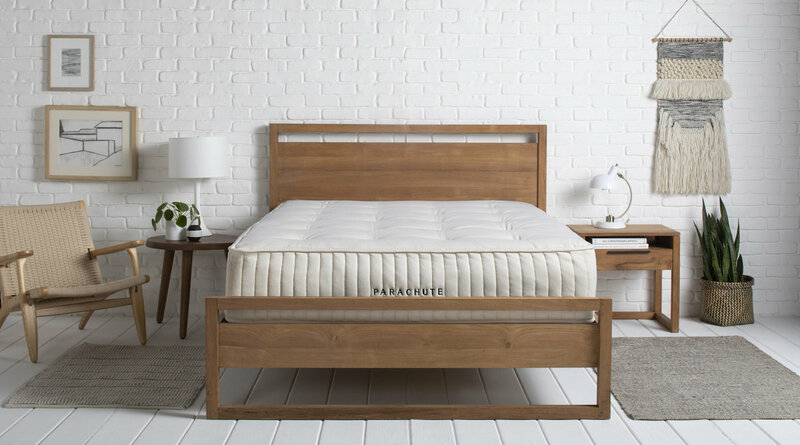 This mattress is CertiPUR-US certified, which implies it has passed the professional test for physical performance, environmental stewardship, and safety. So you can gladly purchase this mattress without having any doubt about its quality and performance. The Live & Sleep Ultra RV Mattress guarantees you with a plush cushion of 2.5” Superior Air-Flow MF over 1” of Gel-Infused Memory Foam with High-Density Polyurethane Base of 8.5”. Its extra-thick which make makes users feel a luxury hotel touch. Excellent on platforms such as box-spring, adjustable or hard floor only. Back pain is ranked as the 6th most challenging health condition experienced in the US according to a study conducted in 1990. It has led to several cases of mortality in the US, so this necessitates the need to pay more attention as regards to buying the right mattresses. A back pain which lingers on for about 4 to 12 weeks in some cases lasting for up to three months is termed as a sub-acute backache. This pain may arise as a result of an accident or injury. With proper treatment in place, this pain dissipates. This category of backaches usually lingers more than 12 weeks or three months. This pain may arise as a result of an accident, injury or psychological conditions such as scoliosis. The pain does not usually stop even after one has successfully treated the cause. The spinal column of your vertebrate contains some intervertebral discs which make up the fibrocartilaginous joints that act as cushions support to the spine structure. Ruptured discs or swelling could be very painful during connection with the nerves. However, in some cases ruptured discs might cause much back pain. Lifting weighty objects or lifting objects in an awkward position can bring about stress in your muscles and back ligaments. Inflammation of a joint in ankles, feet or knees. Also known as degenerative arthritis and is the chief cause of premature weakening in bone cartilage. This refers to joint inflammation caused by an excruciating skin condition called psoriasis. It is a pain related to the presence of synovium material in the joints. This is a disease characterized by the degeneration of the skeleton. It can lead to brittle and porous bones. In this condition, the fractures occur mostly in the spine, hips, and wrists. Severe back pain is experienced when any part of the vertebrate ruptures or collapses. No or less exercise: People with weak muscles are at high risk of experiencing back pain. Obesity: Back pains could occur due to an overweight issue. Having much fat on the body’s midsection poses more pressure thereby causing aches and strains on the back muscles. Mental health concerns: People suffering from depression or anxiety have a higher chance of having backaches alongside other symptoms of the condition. Diseases: Some other medical conditions such as cancer can also cause back pains. Improper or lifting too much object: It is termed as the most common cause of back pain issues. It occurs when much weight is lifted thereby causing too much strain on their backs instead of their legs. Smoking: Habitual smoking of cigarettes can deprive the body of various nutrients necessary for discs, joints and bone strength. If your spine is not correctly aligned due to improper posture, it may cause serious discomfort. You are likely to experience soreness at your lower back. You also need to know that multiple regions exist throughout the length of your spine with each of them requiring support. Providing this support allows you to avoid general issues with your back. Cervical – this is the top region which takes a third of your spine. It supports your head – this is where the pillow also comes into play. Thoracic – This is the spine mid-region comprising of another third of the entire spine. The center serves as a support for your whole upper body. Lumbar – Ever wondered about the phrase “lumbar support”? – It is derived from the bottom third of your spine. This supports your lower back and considered as the foundation. Sacral Spine – This is the lowest part of the spine, and most problems arise from prolonged sitting. Maintaining proper posture can easily help you manage the many back problems that are, though it is still dependent on the specific condition. The spine of the back is arranged in three sections that are coordination both in structure and function with one another. If there is too much pressure on one section, it could lead to the imbalance to the whole arrangement, thereby causing the other two sections to make up for the more. Curvature Disorders can result because of this, and they are many of them. Often the serious ones are Kyphosis, Scoliosis, and Lordosis, but still, they are more. Sciatica Pain is the pain that you feel that starts from the lower back and spread to the back of one or both legs. The pain is named after the Sciatic Nerve, a nerve that passes through the lower back, down to the leg. What happens is that the pain follows the course of this nerve. Often sufferers feel numbness along these concerned areas. It will be better to speak with a licensed medical practitioner to establish the condition. Often times surgery is not needed as life changes such as weight loss, exercise routine, posture, etc., can help improve symptoms. The right choice of mattress can also lessen the serious symptoms of the condition. Keep in mind that a soft, firm mattress can go a long way in relieving you of pressure and in keeping your spine in order. Because an overarched spine can worsen the condition, especially around the lumbar area, this is why a Bed in the Medium-firm range should be better for you as it will help you find the right balance. You might also consider one that will help to keep your spine aligned. Generally, beds with zoned systems in the comfort or support layers that can help your spine remain in a neutral position is the best for you. In between the bones of the spine, there are rubber-like disks that serve as support for each bone and keep them all in coordination. These disks, when fractured, can rupture or herniate, and this is often a great cause of discomfort. Arm pain, numbness, or spinal weakness can even join a list of symptoms. Diagnosis from a licensed medical practitioner can always help to ascertain the condition if you feel any of the listed symptoms. It depends on the disc affected though on how to adjust your sleeping position to suit the condition. Arching your hip slightly during sleep may help to alleviate pressure on the affected disk. Generally, you should consider a bed that comes with lumbar support. This will support and keep your hips and shoulders in comfort which will altogether help your lower spine. This is caused by narrowing of the spaces between your spines. As a result of this, pressure can be exerted on the nerves within the spinal cord, in turn, this could lead to mild to severe discomfort if the condition is left untreated. Weakness in your arms, legs, and feet; neck pain; posture imbalance can be the resulting symptoms. A proper diagnosis can best be made with medical imaging by a qualified Medical practitioner, who will then suggest a course of treatment to tackle the underlying cause and to reduce side effects. The right kind of mattress and/or adjusting your sleep posture can help reduce pressure on the affected nerves. As some research suggests, it may help that sufferers of this condition lie on the side with knees drawn up. This will, as it is found, help to decrease the amount of weight put on the spine. It can also help to settle for Adjustable beds as they enable you to raise your feet or knees, which will help to reduce pressure. If you feel pain around your shoulder or hip, the kind of mattress you should look for should be different, considering your sleeping position. People who sleep on their sides exert all their weight onto their shoulders and hips during sleep, so pressure relief is of importance to them. For these people, a plusher mattress is advisable as it helps to manage joints pain of the shoulder and the hip. A strong, firm mattress with a support system is also good. The spine lies in a neutral position on it which will provide relief for the various pain points. Sufferers may wake up with kind of stiffness-- noticeable in those suffering from back pain-- around the hip and shoulder if they sleep on a bed without proper support. The thing to know is that your bodyweight has a bearing on your sleeping position. If you weigh less than 130Ibs the right kind of mattress is the soft one that will improve pressure relief and allow for spine alignment. But if you weigh more than 220lbs, the firm kind of mattress is the right one as it will prevent your body from sinking too much. How firm a mattress is, is determined by the firmness rating that is graduated on a scale of 1 to 10. 1 being the least firm, 10 the most firm. Generally, mattresses fall between 3 to 8 firmness score. The most common mattresses are in within the medium range of firmness, 6 and 6.5. Mattress coils are made up of thick wires, though the thickness varies with individual mattress. Coils with thick wires are determined by lower gauge numbers, which in turn determines the firmness of the mattress. The amount of coils in a mattress is indicative of the quality of the mattress. Still, you should be on the lookout as the number of coils may sometimes not mean high-quality mattress. Mattress padding, which is on the top of the mattress, usually provides sleeping experience with comfort. Generally, mattress padding indicates a high-quality mattress, and the more extensive mattress padding is, the more expensive the mattress. But most people still go for it because of the added comfort. This is found just below the quilted top and is basically made of foam. Mainly softer foams tend to feel squishy to touch, but for firm foams it is different. Firm foams won't just bounce back after touching them. The layer underneath consists of cotton. The thickness of this layer varies with mattresses, and it determines the firmness of a mattress. This kind of padding is on the top of the coil springs and is not easily palpable from the top of the mattress. Mainly, insulation padding prevents the layers of the top of the bed from being damaged by the coil springs. Ticking is made up of polyester or cotton- polyester, and it is found on the outer layer of a mattress. The ticking is attached to the top layers of padding by quilting. When considering a mattress, it is important to examine the quality of stitching, checking for consistent stitches. The box spring the mattress rests on provides with solid support and thereby helping to prolong the lifespan of the bed. Generally, Foundations are made up of metal or wooden frame with springs. Is it possible to get Quality Beds Online? There are high-quality mattresses available online which you can easily get. The process is simple as online brands have made it easy with their modernized sales model. Not only that, the brands have new materials in many and varied forms. This is great news for back pain sufferers especially as they have a wide range of choices to select from. You can easily get a tailored back support, zoned pressure relief, or premium spine alignment, etc., from the many online bed-in-a-box companies. These companies can tailor your delivery according to your list of demands. For an individual with higher weight concerns can easily bank on these companies to deliver what is just right for them. As it is commonly believed, not all online brands come roll-packed. There are several online brands that still operate with the traditional mode of delivery, which is usually done for free. These brands deliver high-quality materials that can stand the test of time. Can I buy Cheap Beds? Care has to been taken for sufferers of back pain when choosing a mattress. The wrong mattress that is those with incongruent materials can be especially disastrous for sufferers. To prevent this from happening, you should be on the lookout for companies that sell cheap mattresses as compared to what you see in stores. With all this, can you still get the appropriate mattress just right for your condition at quite affordable prices? The answer is yes. Many of the mattresses come, at prices friendly for your pocket, as they tend to be tailored-made for the condition and compromised in other materials. For instance, a person who weighs less than 130Ibs will require a soft mattress which will improve pressure relief and allow for spine alignment. Generally, it is now easy to get zoned support systems and comfort materials as online brands are starting to utilize them in their designs. Another advantage with purchasing online brands is that they offer free and trial service. With this, you can get the right bed for you. As different conditions require specific different bed materials, it may be a little hard at first to the mattress that is just right for you. Still, as long as it might take to the get the right one, it will be worth it. Getting the right kind of mattress will only translate to a full and comfortable sleep for you, and that is a good thing.